Labour Behind the Label believes that brands should be responsible for the working conditions in their factories and thus must ensure that working conditions in their supply chains are decent and resolve problems when they arise. Brands must respect internationally recognised norms as established by the ILO and the Universal Declaration of Human Rights. 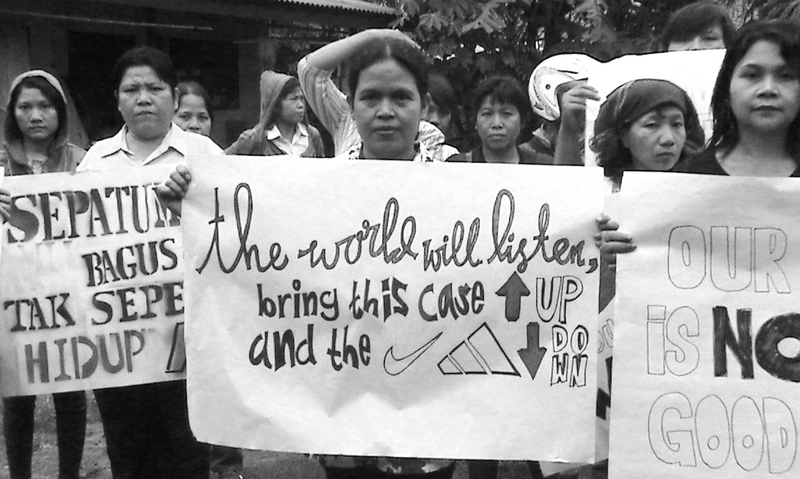 But sweatshop abuses remain a deeply rooted systemic problem – no company is totally clean or totally dirty. Every company that sources globally encounters problems that must be addressed. While there are many steps companies can – and should – take (and some have already taken) to improve workers rights, there are no quick-fix solutions. The successful campaigns by Labour Behind the Label, the CCC and workers’ rights advocates across the globe have forced many corporations to adopt “codes of conduct”. Labour Behind the Label continues to pressure brands to commit to these codes of conduct to give them real meaning by actually engaging in serious monitoring of current conditions, resolving issues and adopting business practices that better ensure that suppliers and factory owners provide decent working conditions and a living wage.